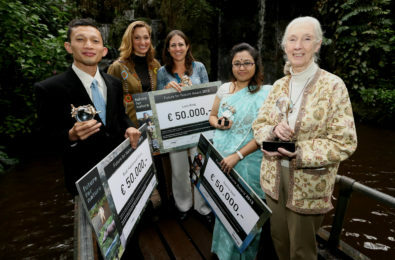 Samia Saif receives the Future For Nature Award 2013 for her contribution to tiger conservation in the Sundarbans mangrove forest in Bangladesh. A video of the interview with Samia can be found here. 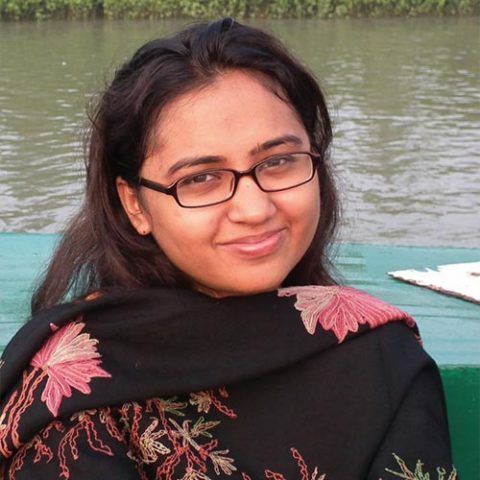 Since 2009, Samia has been employed by the Wildlife Trust of Bangladesh (WTB) as a programme officer. Initially, Samia’s main responsibilities were providing research assistance to WTB’s ongoing research projects, including a Community Conserved Areas (CCA) project and a study of the transmission of zoonotic disease by birds in Bangladesh. 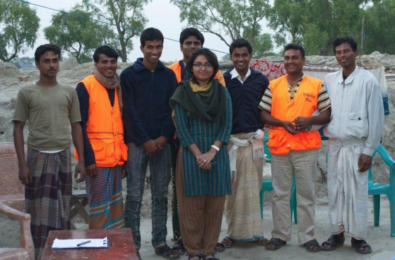 From 2011 the focus of her work has been her PhD, which is a component of WTB’s Sundarbans Tiger Project. In Bangladesh tigers are found only in the Sundarbans mangrove forest. This globally important tiger population is in a critical condition. If the current rate of decline (50% in 5 years) is not halted, the population will be extinct within five to ten years. Prior to Samia’s research, there was no information about the extent or nature of tiger poaching in Bangladesh. Samia has gained the trust and respect of villagers from communities bordering the Sundarbans, allowing her to exploit this valuable source of information about tiger poaching. Her work is highlighting for the first time the scale of poaching in the Sundarbans and she has identified poaching as the most significant threat to Bangladesh’s last tiger population. She has identified the socio-economic factors which drive trade and consumption of tiger parts in the area, and has secured details about the tiger trade routes from the Sundarbans. Furthermore, her in-depth research has provided information about the black market trade in other local species, including deer, otter and crocodile. 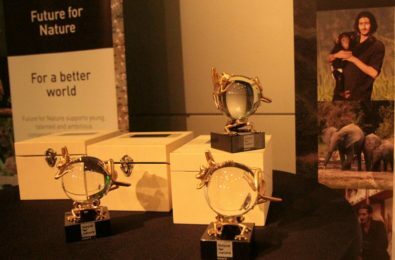 Samia’s research has identified local communities as a reliable and willing (when the recipient is trusted) source of information about wildlife crime. The community information network and policing system will be built on the trust local communities have in WTB and the sense of community empowerment (the belief that they can bring about positive change in their own village) engendered by WTB’s existing community-based activities.